Hi party friends...glad you've come to link up and be inspired by the creativity of each other! I am officially home from Italy. Buuuuuut...still no pictures to share (I know, I know!). But, enough about that, let's get this party started! And, on Friday, Meredith from Wait 'Til Your Father Gets Home! 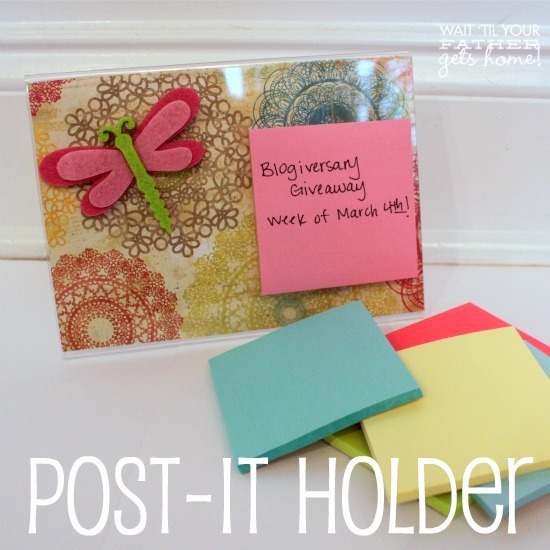 shared a fun Post-It Holder Tutorial! Thanks for the party Emily! Have a great evening! Thank you so much for hosting Emily, love your Easter mantel, really cute! Have a wonderful day! Glad you be back, welcome:)! Thanks for hosting the party! Glad you had a fabulous trip. Thanks so much for hosting. Have a wonderful week! Thanks for hosting! I am now your newest subscriber! Welcome back from your SUPER awesome trip! Loved following along on Instagram, and seeing the sites with you! Thanks for hosting! Glad that you had a fab trip. Great to be at the party again!! 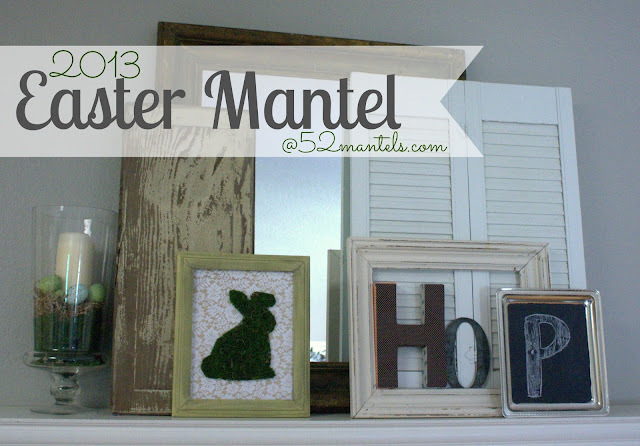 your mantel is adorable Emily! love that little moss bunny. I can totally relate with your obsession with old door...bet they were awesome! thanks so much for hosting, my first time here! Thanks for hosting. How is your brother doing? Is he home yet? Hope all is well.